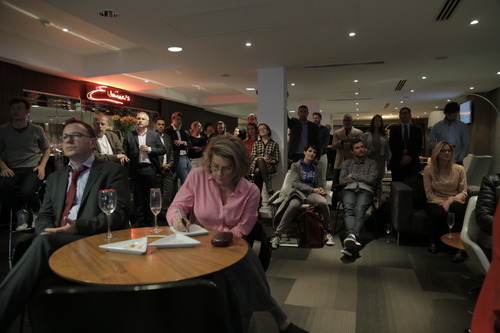 Here’s a quick round up of the recent Insight Series event I helped put together and promote for the Branded Content Marketing Association (BCMA) at Freuds on Oct 24th (see full account here). 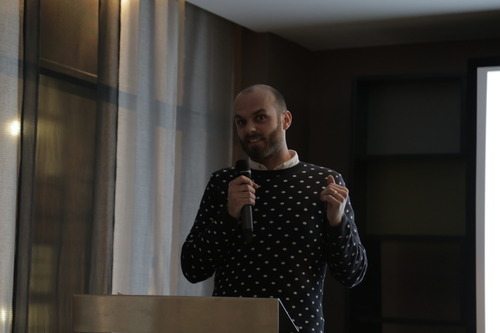 It’s been cobbled together from an existing round up by the BCMA’s CEO Andrew Canter, and also notes kindly supplied by Unruly Media’s COO and co-founder Sarah Wood. The evening started with a Neil Blomkamp’s futuristic film, Tetra Vaal which depicts a ‘third-world’ country run by robotic police. Andrew Canter, CEO of the BCMA reflect on the achievements of the association over the past 10-years, including the development of a proprietary measurement tool, contentmonitor, the publication of its first ebook, “Best of Branded Content Marketing” and recent publication of the first phase of an Academic Study defining branded content for the digital age. 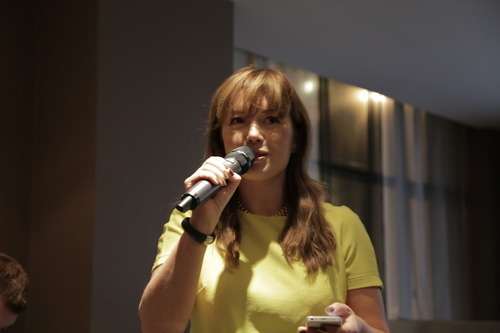 Tamara Roukaerts, Director of TRM&C and former Head of Marketing at Aurasma where she was instrumental in developing their augmented reality apps. Presenting from her iPhone, her view was that as individuals, we’re becoming more and more like brands. Our product is our first person lived experience which we edit, package and share, measuring the success of our important life events in terms of likes, shares and retweets. And at the same time as we’re acting more like brands, we increasingly expect brands to be more like us – more social, more authentic, more contradictory, nuanced and real. Brands that don’t get this new deal with consumers will lose. Zuck’s Law says that every year, the amount of content we share doubles. A new wave of mobile devices will enable this growth to continue and even accelerate it. Fuelled by the continuing increase in mobile processing power and the decreasing cost of mobile components, mobile as a category will prove to be far greater than just smartphones and tablets – expect connected FMCG products, smart homes, interactive clothing, wearable devices and augmented reality eyewear. But this isn’t just about the devices we carry, it’s fundamentally about the kinds of content we create and consume. Content will change as the devices we carry change, so expect a shift towards content with a first person perspective, fuelled by the rise of eyewear like Google Glass that allow us to share our view in real time. So when negotiating terms with your brand ambassador in 2023, you won’t just be talking about how many tweets they’ll send out about your product or how any campaigns they’ll front. You could be negotiating how many hours a day they’re willing to live broadcast their first person perspective. 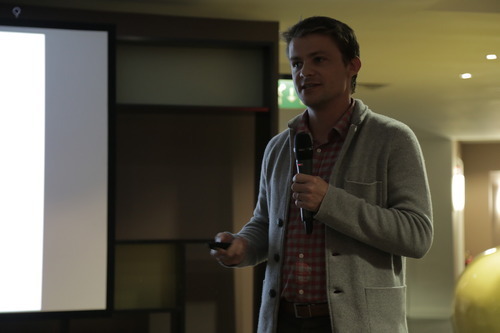 Eric Schwamberger, Partner at Tenthwave Digital from New York City. His view of the future for branded content was that the concept of Brand will evolve past the rigid and structured expressions of Brand Positioning, Essence and Benefit to a more complex humanistic and personified view of the Brand. He stated that Brands will stop “disrupting what people are interested in” and try to “become what people are interested in” shifting marketing value from brand impressions and message frequency to brand engagement and experiences. His final prediction was that as the first “Social Generation” grows up, transparency and sharing will become a part of a new global dynamic. The idea of Social Media will move past a line item in the marketing budget to an integrated tactic of just about everything we do. Nick Hayward from YouTube shared his views of the future. He started by saying that he had never given a presentation that did not contain video and that he had never completed a presentation in five minutes. Tonight he was going to do both! He said that video on the internet used to be about seven second clips of exploding boats/heads, etc. Everything has changed! The new generation ‘C’ has grown up with video and creating content that people love and share. It is all about giving people great contentand allowing them to interpret in the way they want to. 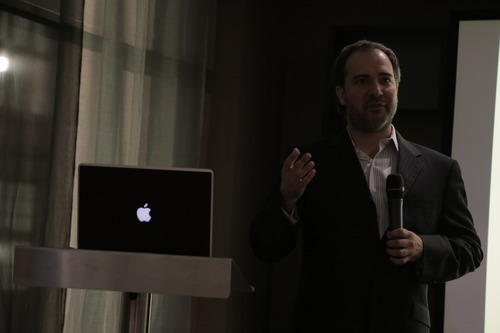 He argued that brands must be more agile and react to situations and maximise the positive impact on sales, e.g. 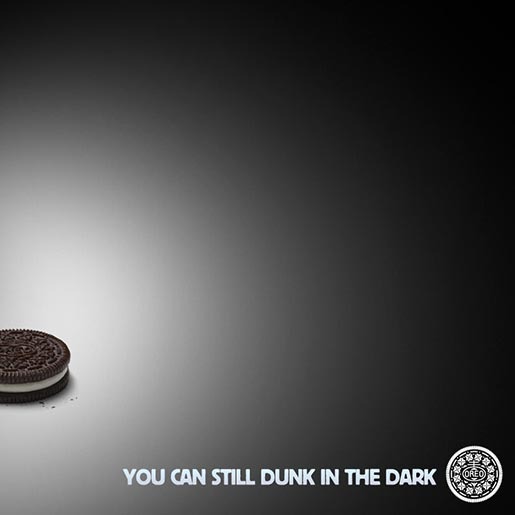 Oreo’s tweet during the Superbowl blackout, ‘You Can Still Dunk in the Dark’. One of the key trends will be the ability to purchase products whilst viewing content, or ‘shopability’ which must not be seen as intrusive and add to the viewing experience. He also said that we need to look at new types of measurement to take account of the advance of technology. Talking of technology he then went on to explain how Google Glass would transform the world. Metrics will need to change – a cultural penetration metric, how the emotion changes as you watch content. Emotional connection is worth more than 10 million views. Trust will become a currency. 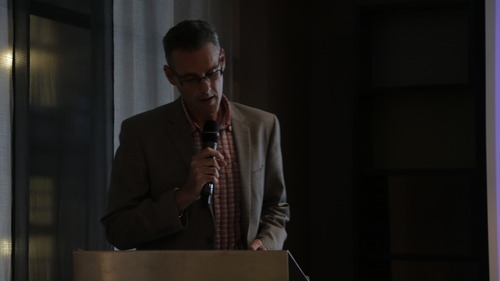 Tom Wright, Director of Freuds gave us his predictions for the next 10-years. They were that Brands that are honest and engaged will engender reciprocal honesty and engagement. This is what will matter. All editorial content will become ‘shoppable’ across any device/media and that Google glasses will be regarded as an interim novelty technology. He also showed us his Table Tennis skills! Should brands be creating content or platforms? Engagement – consumers are fickle. Is this a problem? Does loyalty matter? There’s no such thing as loyalty. As Andrew Canter summed up one thing that is guaranteed about the future is that you are going to be wrong! It is to what degree you get it wrong that is the key. More soon as I’ll be interviewing industry experts about what they think is coming next.